Nobody likes to walk through their home and see dingy, stained, or dull carpet. It is where the kids play and where we lay down to watch TV with the family. Wouldn’t you want to know that the carpet beneath you is as clean as possible? At Everclean Carpet Cleaning of Sterling Heights, MI, we understand that you aren’t going to have your residential carpet professionally cleaned every week, or every month for that matter. 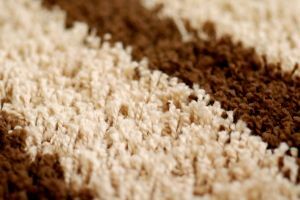 But, having carpet in your home professionally cleaned once every six months is key to keeping you carpet at its finest. Between your professional residential carpet cleanings in Sterling Heights, Michigan, routine maintenance can help the cleanliness and appearance of your carpet as well. Vacuuming your carpet daily can help remove dirt and dust before it gets trapped deep within the fibers of your homes carpet. Once you let it settle into the deep fibers, a professional carpet cleaning will be a necessity to truly cleanse your homes carpet. If between professional carpet cleanings in your residential home you accidentally make a mess, whether you spill red wine or your kid decides to track mud all throughout your white carpet, refer to our tips on getting out tough stains. These tips can help to hold you over until your next appointment with Everclean Carpet and Upholstery Cleaning. For more information or to schedule your appointment today, contact us! Be sure to ask how your can get a free deodorizer or one free room cleaned in your home!